Rahu and Ketu are considered shadow planets in nine planets. The cuts of Sun and Moon creates them. The life is based on Sun and Moon. Therefore, its cuts are very important. Their impacts are secrets and one cannot understand them. 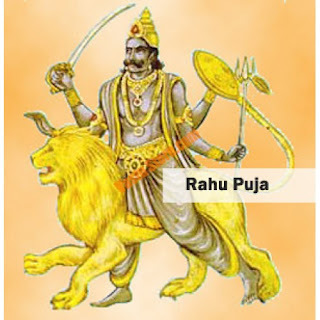 Rahu is completely negative planet and gives malefic impacts. It weakens the other planets with its shadow. One faces bizarre problems due to impact of Rahu. Rahu gives negative energy to the person. It impact person’s thinking and food habits. It becomes contaminated. People become habituated of fast food, soft drinks and alcohol. Their daily routine is not fixed. They earn money suddenly and rapidly. They face ups-downs in their domestic life. They get doubt of bizarre diseases. One cannot get its solution. On the above cases, you should eat two basil leaves in the morning with empty stomach. Tie white sandalwood in blue color thread. Wear it in your throat. Keep yellow color scarf along with you. You should include milk and milk products in your diet. Chant Gayatri mantra for 108 times every morning-evening.